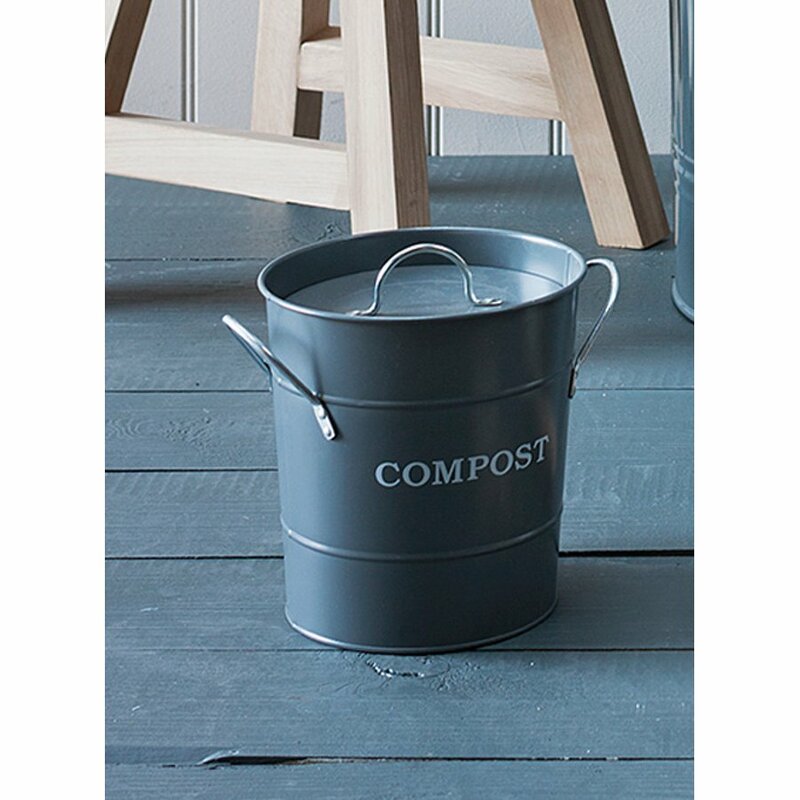 A 3.5L compost bucket made from robust galvanised steel in charcoal, stylish enought to sit on the kitchen workbench and featuring a 'compost' label. 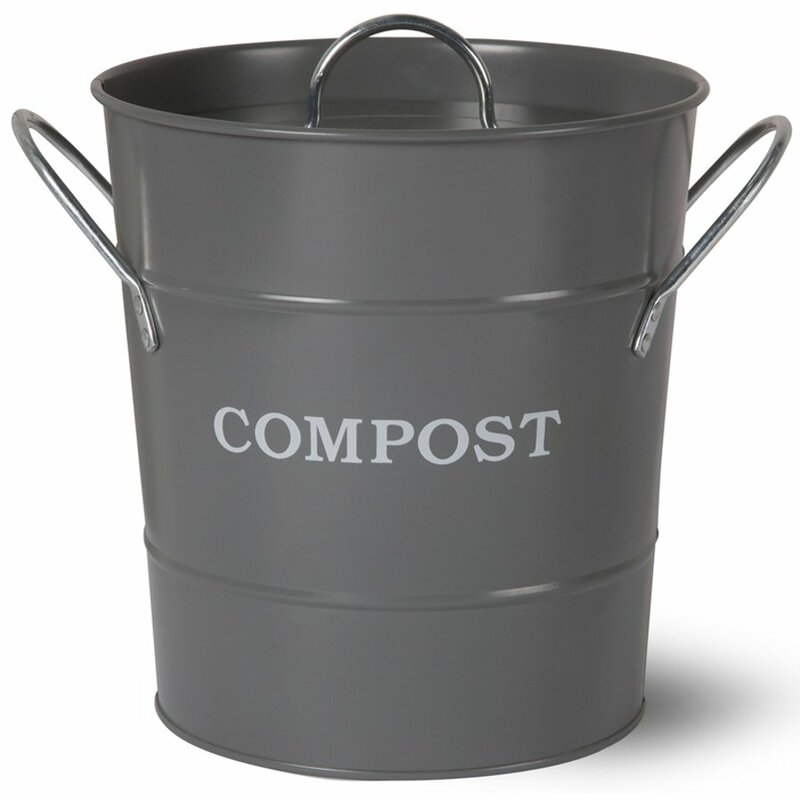 The bucket has a removable inner bucket with a carry handle that can be washed separately, along with an airtight sealed lid which keeps the composting smells inside the bin. 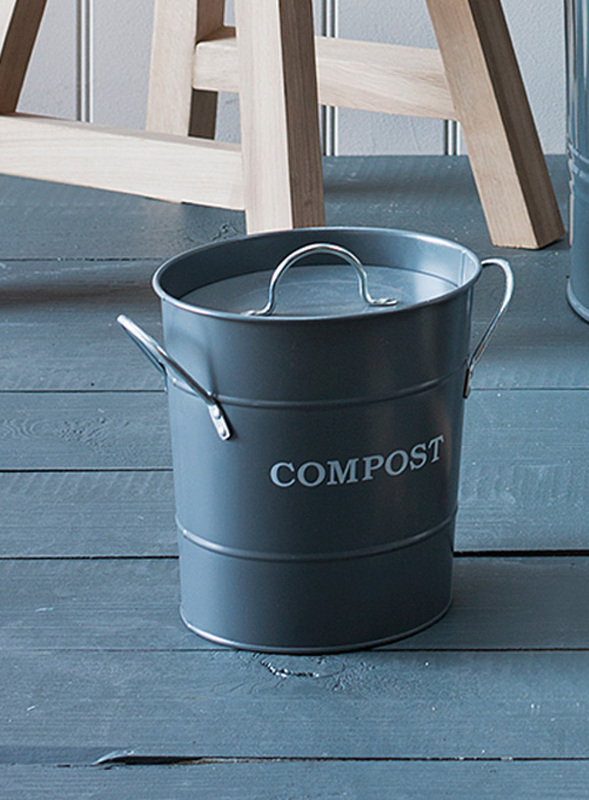 With a timeless style, this compost bucket suits both contemporary and traditional kitchens. H21 x W25 x D20cm. 3.5L capacity. The Compost Bucket 3.5L - Charcoal product ethics are indicated below. To learn more about these product ethics and to see related products, follow the links below. There are currently no questions to display about Compost Bucket 3.5L - Charcoal.